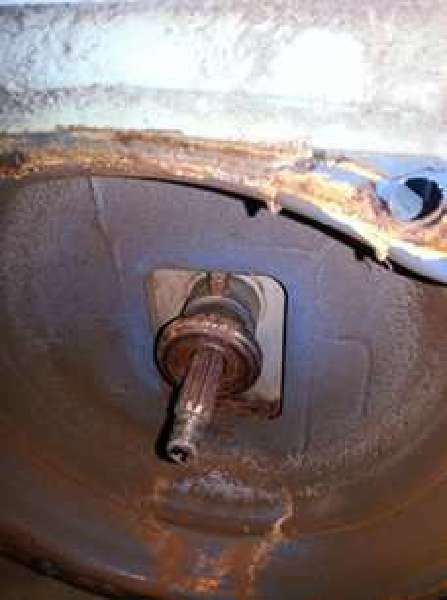 The throw out bearing is on a sliding carrier and on top of where it go's into there is a bolt & nut I asume its to hold the slid from turning , how tight should it be and what keeps it from coming out. Also when trying to find an alignment shaft to get the clutch lined up I couldn't find one so I took a dowel rod 3/4 in size and drove it though the old clutch plate and it made the splines in the wood. This is a picture of the Siding throw out bearing is it suppose is the bolt to be locked in place anyone know. Do not know this tractor, just the mechanics of clutches. The throw bearing slides on that shaft. 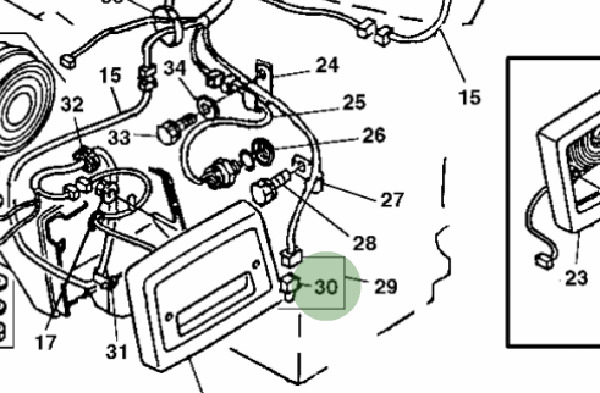 The clutch fork is connected to your clutch pedal and the fork presses against the throw out bearing forcing it against the pressure plate to disengage the clutch from the flywheel. Thanks for your answer and I knew the function of the throw out, its more the small bolt that keeps the shaft from turning its a 1/4 in. slot, much like a key way is what I wondered about, I am thinking it needs to be in the slot good but not tight as it has to slide and how to lock it.